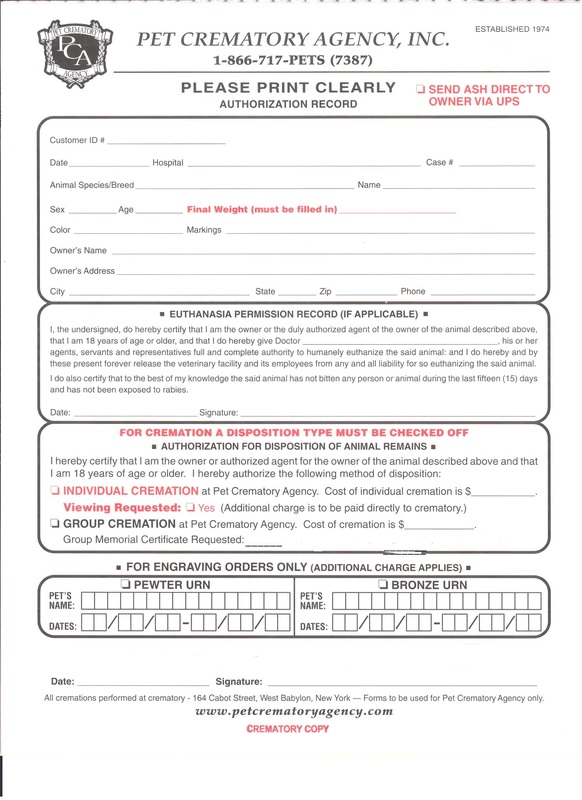 If you pet passes away in your home and you would like to personally take your beloved pet directly to our facility in West Babylon NY then please download and complete the authorization form. Please bring the completed form in with you. No appointment is necessary to bring your pet to us directly during our regular business hours. If further information is needed please contact us @ 631-293-2929.